Well 2011 was my busiest year ever, with Scottish highlights including sell-out performances at Ceilidh Culture and the Edinburgh Festival Fringe amongst many performances the length & breadth of the country, successful tours of Ireland, Slovakia, Germany and Holland, and numerous tours of England and Wales including several festival performances. In November, I undertook an exhausting 8 country tour of Europe spanning the length of November in support of my recently released second album ‘Impasse’ and I rounded off the year with a few more concerts in Holland & Belgium before seeing in the New Year in Muelheim, Germany. We’re currently hard at work on my third full-length studio album (not including Man Gone Missing releases or ‘The Loss of an Unknown’), to be released in Spring 2012 – the arrangements are sounding fantastic, and with Ian McCalman on the production tiller, the music is not only sounding great, it’s been great fun as well. Please keep an eye on this blog for more information about the release. Happy New Year, and I very much hope to see you at a gig soon (keep an eye on the gigs page – it’s changing all the time). Wow, what a month I have had! I’ve been robbed in Amsterdam, and my car’s engine decided to cease up on me…..but the music and the concerts have been great. Amsterdam, Den Bosch, Ede, Eindhoven, Mulheim an der Ruhr, Gothenburg, Malmo, Ystad, Ronne – all fantastic nights, thank you so much to those who took the time to see the shows. Pretty much in Scotland for a wee while now until I head off again for the continent in early November and am very happy that this is the case – I need a bit of rest! I have also been in the studio working on the third album with Ian McCalman, which is set to feature Marty Camino on double bass, Adam Nash on violin, Louie Robertson on acoustic guitar & Inge McIlroy on backing vocals. It’s sounding excellent so far, testament to the fine work the musicians have all put in. Hope to see you a few of you somewhere on the road soon. Just a quick note to let you all know that I shall be performing this Sunday night at the Edinburgh Festival Fringe. 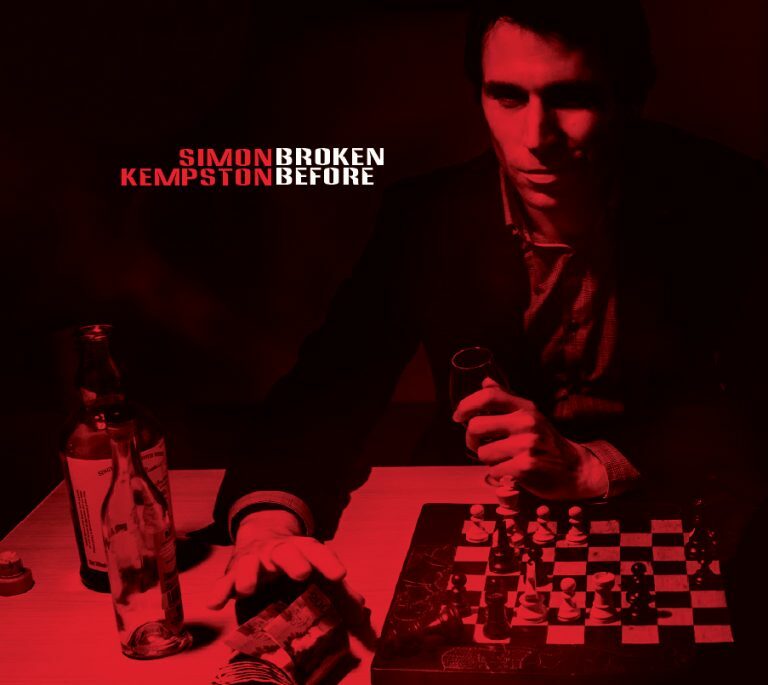 Details are here – http://www.edfringe.com/whats-on/music/simon-kempston – 2130 at the Acoustic Music Centre, St Bride’s in Orwell Terrace. I really hope to see a few of you there. This is the new website – a few slight modifications still to be undertaken but do let us know your thoughts. This is just a short note to let you know I’m appearing live on internet tv tonight – streaming here at 1900 – http://www.justin.tv/djbluetone/videos. Tune in if you can! Just a short note to let you know that my new album ‘Impasse’ will be released on May the 23rd – everything is extremely hectic just now but I can say that I’m extremely happy with the finished product and feel that it is my best yet. Having finished it, I can’t wait to get out on the road and perform all the new songs, and am excited and nervous as to how they will be received. Details of how to purchase the album etc. will be posted here soon – and on that note, this website is about to undergo a major facelift! Will be going live soon enough, and with a bit of luck in good time for the release. I’ve had a fantastic month since I last posted, and have performed at Ceilidh Culture in my adopted home city of Edinburgh for the first time, as well as shows everywhere from Ullapool to Abertillery, including great shows in Dunferline, St Monan’s, Keswick and Keighley amongst many others. Really enjoy performing in Wales, I must say! I seem to have developed a preference for performing in small, beautiful mountainous countries – Scotland, Ireland, Wales & will add another to the list with my maiden tour of stunning Slovakia at the end of June/start of July. I’ve had a busy start to the year, preparing and finalising the new album ‘Impasse’, which will be released in May. The album was recorded in two sessions, in Crichton Church, Crichton (I discovered its beautiful acoustics when performing there at my sister’s wedding!) and All Soul’s Church in Invergowrie, a church close to my family home which I’d used for recording in the past and had always been pleased with the results. The first session features Tom Merritt-Smith on cello and the second Fiona Cuthill on fiddle with Steven Carey at the production helm. They were all fantastic throughout and I can’t thank them enough – keep your eyes on this space for details of a launch night! Earlier this month I had the privilege of peforming a short tour in the Netherlands, in Amsterdam upon the famous Mulligans stage before heading up to Zwolle to perform a couple of dates there. I was lucky enough to be staying with Patrick of the In de Kringloop sessions in Zwolle (www.indekringloop.nl), both him and his wife were excellent hosts and the whole experience in Zwolle was great. The house concert I performed in featured another two talented acts, The Information and Port of Call (Pieter van Vliet) and was a certain highlight (see http://www.youtube.com/watch?v=dAD5JVcZ73Y for my performance of ‘To The Wilderness’). Another great highlight were the In de Kringloop sessions themselves, for those of you unfamiliar with Dutch Culture, a ‘Kringloop’ is essentially a cavernous charity shop where one can purchase second hand goods of any type. As part of the In de Kringloop sessions acts select an area of the shop they like and perform a couple of their songs which are then edited into a video – so keep watching Patrick’s youtube channel for the latest updates! I’m currently organising a return tour to Holland/Germany in May, as well as Slovakia in June, Ireland in July, Holland/Germany in September and a full European tour in October/November. There will be a host of Scottish and English dates too, so hopefully I’ll be performing somewhere near you – the gig listings change all the time so keep checking back. A long time. High time. Yes, it has indeed been some time since my last post, and how time flies. Updates will be more frequent from now on, fear not. I personallly blame Sky who having originally promised to wire up the internet in the new flat in July failed to do so, finally managing to last week! It has been a fantastic year for me, and I would like to thank everyone who has taken the time to come and see me play, speak to me personally on the night of a gig & buy my CDs, the support means so much to me and is always appreciated, never taken for granted. The last few months have seen fantastic dates at the Cropredy Festival, Liverpool’s Mathew Street Festival, Sligo Live Festival, the Edinburgh Festival Fringe (sell out!) amongst many more wonderful dates across the UK & Eire. Belated thanks also to Roddy Hart, Mary Ann Kennedy, Iain Anderson & Archie Fisher for playing tracks from ‘Carefree Prisoner’ on BBC Radio Scotland. The second album is nearly finished and is scheduled for release in February 2011 – I am very excited about it & can’t wait to get the songs out there and out touring and performing in support of it. I’m in the process of arranging many dates for 2011 presently, please check here & on my myspace for latest details, and I really hope to see you all at a gig soon. Have a great Christmas when it comes and all the best for 2011. Well, here it is- summer at last. And it is going to be a busy one for me, starting with a performance in the UK’s most mainland location – Knoydart; followed by performances in Keswick, the Rowchester Music Festival, the Maryport Blues Festival, Chesham, the Edinburgh Festival Fringe, the Cropredy Festival and DylanFest. I also have a few dates pending, including a return trip to Northern Ireland/Eire and to Tuscany. ‘Edinburgh-based singer-songwriter, Simon’s poignant melodies and intense, poetic lyrics dramatically describe political and historical events and places he’s travelled. His plaintive vocals are accompanied by mesmerising acoustic guitar and exquisitely beautiful chamber orchestra arrangements. Intelligent, passionate and highly original. I am also at work with Steven Carey in the studio, and we anticipate a second album, which features much of the material I’m currently playing live, should be ready for the autumn. The songs were recorded in the stuning Collegiate Church in Crichton, which has given the recordings a beautiful natural sound. We’re very excited about it and can’t wait to release it and take it out on the road. Hope to see all of you very soon. BBC Radio Cambridgeshire; BBC Radio Norfolk; BBC Radio Three Counties; BBC Radio Suffolk; BBC Radio Northampton & BBC Radio Essex. You can also listen live online here –http://www.bbc.co.uk/iplayer/playlive/bbc_radio_cambridge/ (or any of the corresponding links for the stations listed above). I really can’t wait, and hope a few of you can tune in! April has been incredibly hectic and enjoyable, and has seen me grace stages in Edinburgh, Glasgow (twice), Perth, Dundee, Glossop, Birmingham, Newcastle (twice), Livingston, Belfast (twice), Sligo & Derry. Everyone I have met wherever I have been has been really welcoming, but I have to save a special mention for the people of Northern Ireland/Eire – I had a phenomenal time and met some amazing people & musicians, and I hope to keep in touch with them all. Belfast, what a city, I can’t wait to come back, & the crowd in Sligo were first rate. Special thanks also to Cherrie McIlwaine who gave ‘To the Wilderness’ and ‘Galway’ a spin and mentioned all the Northern Irish/Irish shows on her BBC Radio Ulster show. The gigs in Glossop (Red Rooms), Glasgow (Star Folk Club with Rallion) and Birmingham were also personal highlights. This month is a little quieter, a stag weekend in Bristol not exactly the welcome tonic for a life on the road…though I’m appearing live on the Sue Marchant Show which goes out on BBC Radio in the East of England on the 13th of May (available on iPlayer if you’re not in the area), as well as performances in Suffolk, Norwich, Edinburgh & my native and beloved Dundee. Thanks to everyone who came to a show, bought a CD, offered me support in any way – it is much appreciated, as always.